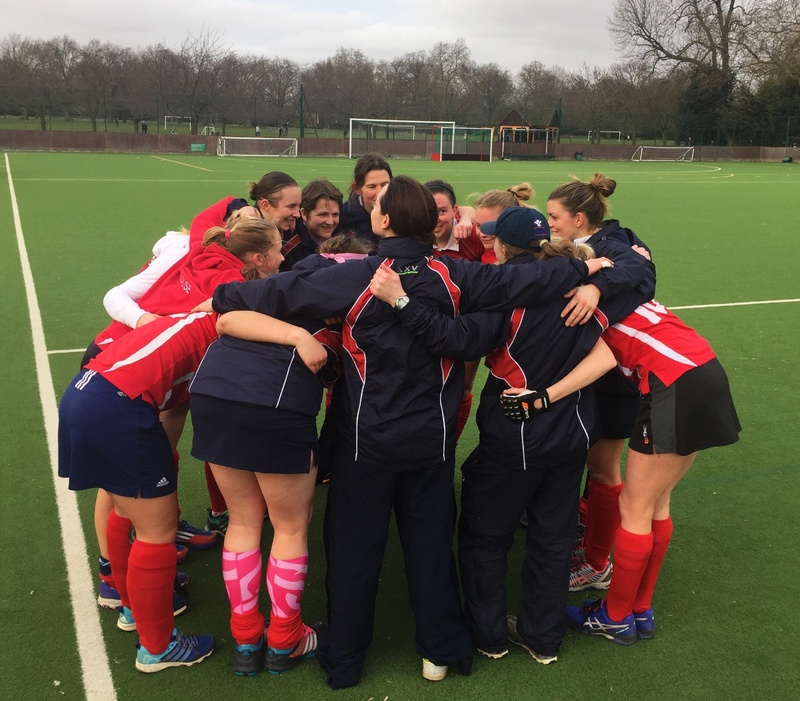 Basingstoke ladies 1s, sponsored by KJ Smith Solicitors made the perfect start to their match against Reading 2s. From the push back they attacked up the right hand side, moved into the circle and won a penalty corner, which was expertly finished by Roxy O'Dea. Basingstoke continued to attack and before long they had doubled their lead. Once again Roxy O'Dea was involved, this time she carried the ball along the baseline before passing to Fi Parker who scored from close range. At this point it looked as if Basingstoke might run away with the match; however, Reading got back in the game after a long pass into the circle was met by a Reading attacker who scored a deflected goal at the far post. This gave Reading confidence and they made a strong comeback by committing lots of players forward in attack; however man of the match, Steph Hazell managed the Basingstoke defence superbly. Basingstoke extended their lead once again, following a tenacious run from Catriona Bausor who beat numerous players and topped it off by beating the keeper to make the score 3-1. Reading did not give up and continued to attack in numbers. They won a penalty corner and when Basingstoke were unable to clear the first shot effectively, Reading seized on the opportunity and scored from the second phase. Basingstoke continued to work hard in an attempt to regain their two goal cushion; however it did lead to some nervous moments for the travelling supporters towards the end of the match. An important 3 points for Basingstoke puts them back into 3rd place in the league and in the mix for promotion.